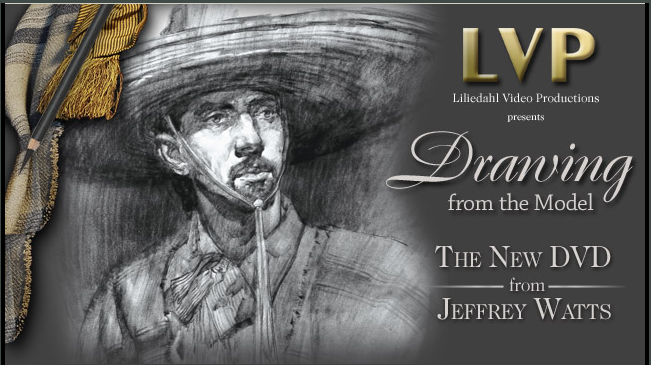 "Jeffrey Watts is an artist who has been steadily building both a reputation as an outstanding painter and draftsman of this generation as well as a consummate teacher and instructor of fine art principles. In his Watts Atelier, he trains a new generation of painters in the drawing and painting procedures that have almost become a lost art. Drawing is the foundation of all good representational art and one can never learn or practice it enough. The problem for most fledgling artists is where to go to find the type of instruction that provides the foundation for classical painting techniques. Jeff Watts is one of today's leading instructors in drawing the head, body and anatomical forms that every artist must master to become a master painter. 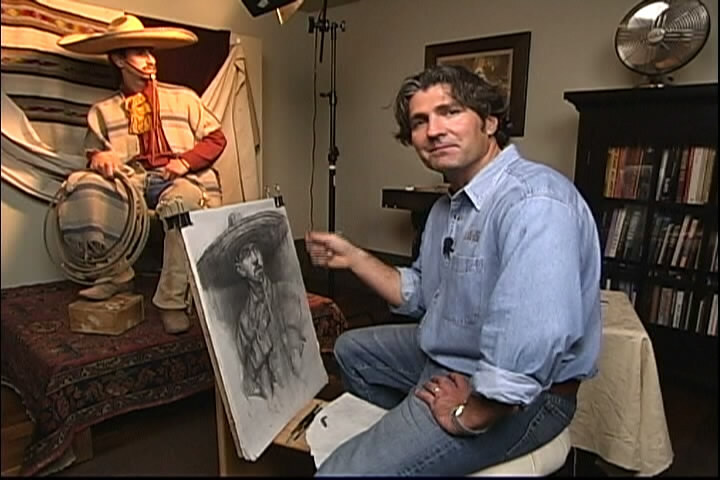 He has a generous verbal style of instruction that makes the learning of complex relationships simple to see and shows how to accomplish drawing skills that translate directly into painting skills. 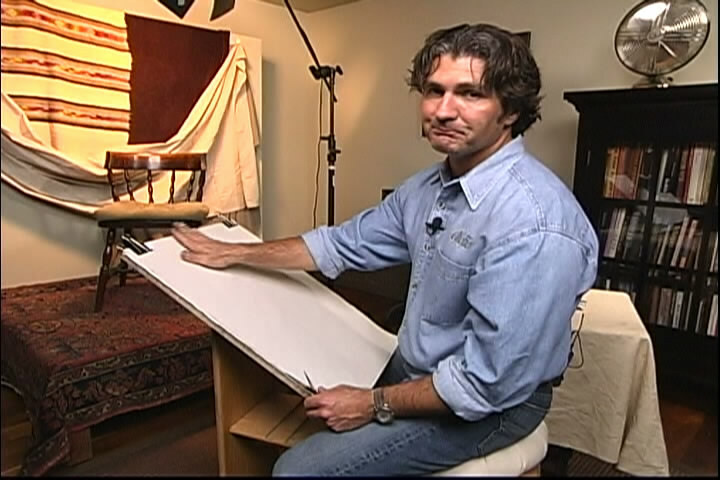 Unlike some who propose that you must learn to draw before you learn to paint, Jeff insists that both can be learned and enhance each other if learned simultaneously. 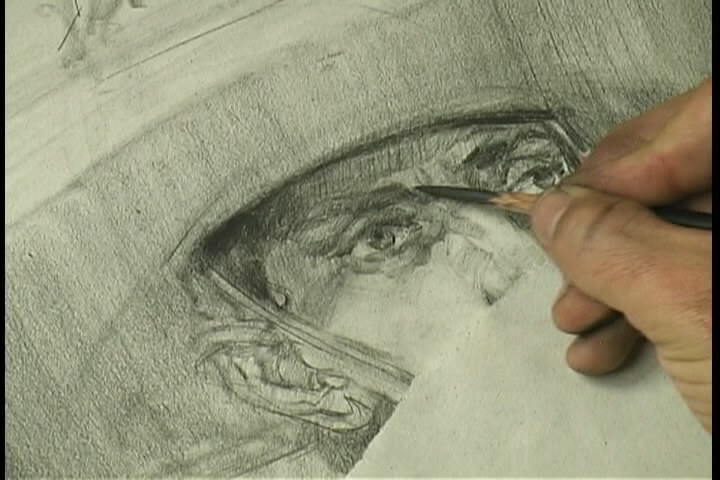 His mantra for grasping the essentials of a drawing quickly is "Look, Analyze, Execute." He says, "What we want to do as a student is to acquire an intuitive sense for value and design through repetition of correct theories and information. How fast can you do that? It depends on the individual's ability to acquire this information, aptitude, and willingness to work hard at it. Work ethic I would take any day over talent. I would take heart and character over natural ability any day of the week. So if you're not one of those natural people, don't fret. You may pass up the naturals ten times over just out of work ethic." 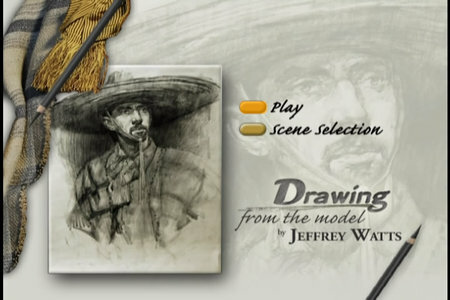 In this video, Jeff gives you the underlying relationships of all heads that you can refer to when drawing from the model or from photographs to achieve a likeness, and demonstrates warm-up drawings in sets of four 5-minute exercises before tackling a long drawing of the same model. This is the exercise that he sets out in his classes in his Atelier for his drawing students and the process they go through every week of class. Now you can sit in on one of his classes, where he demonstrates on this video exactly as he would in each weekly class. It's rare to find a teacher who is so articulate about exactly what he/she is doing on the camera, but Jeff is one of those individuals who has no trouble talking and drawing at the same time, which makes his a wonderful resource for learning a great deal in a very short period of time. If you are struggling with your efforts at drawing or painting likenesses, this video is surely one that should be in your library to help you over that hump.